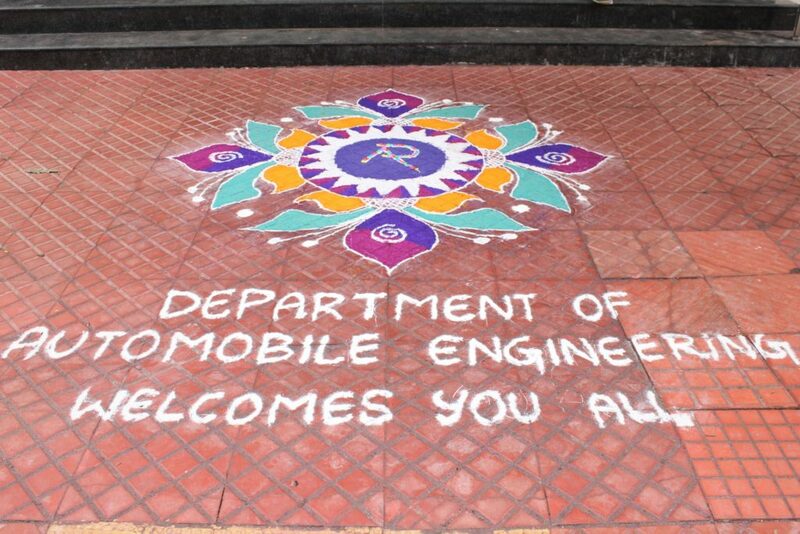 The Automobile Engineers Association, AEA & Society of Automotive Engineers Collegiate Club of MIT, SAE inaugurated its activities for the academic year 2018-19 on the 20th of September, 2018. The ceremony commenced at 9:00 am at the RLHC conference hall with the arrival of the Chief Guest and Dean. 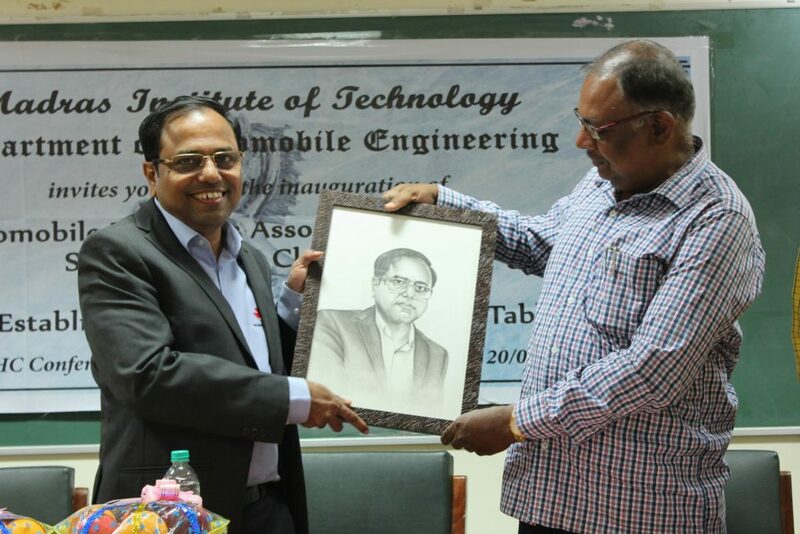 The dignitaries were Mr.S.Sriraman, Senior Vice President, R&D-Tractor and Farm Equipments (TAFE), Dr.A.Rajadurai, Dean, MIT, Dr.S.Jayaraj, Professor and Head, Department of Automobile Engineering, Dr.K.Arunachalam, President, AEA and other office bearers. The function was graced by faculty members, staff members and students of the department. The program began with an invocation of the almighty. The Kuthuvilakku was lighted by the dignitaries and Chairmen of both clubs. The welcome address was given by Mr.B.Vasanthan, Faculty advisor, SAE. The activities, current and future plans of the department and the upcoming facilities were brought to the fore by Dr.S.Jayaraj. Mr.A.Prasanth, Chairman, AEA then listed the achievements of AEA, its contribution and events while Mr.M.Karthik, Chairman, SAE highlighted the activities and events of SAE. The presidential speech was then delivered by our beloved Dean. 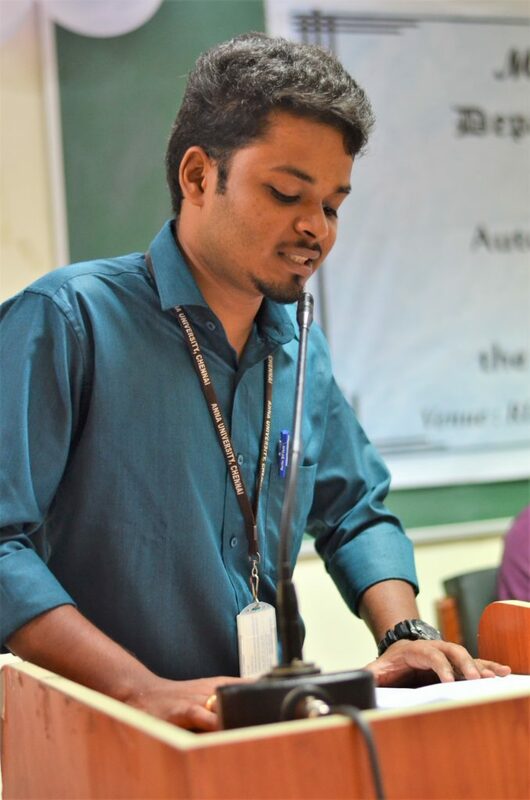 By sharing his knowledge about automobile engineering, inspired a lot of students. The Chief Guest was introduced by Dr.Arunachalam. Mr.Sriraman is the Chairman of SAE India Southern Section (SAEISS) and also a board member in many other companies. He is also an alumnus of the Department of Automobile Engineering, MIT. After completing his undergraduate degree, he pursued his graduate studies at the Indian Institute of Management, Ahmedabad. He shared his wisdom with the gathering. He talked about the present trends in the field of automobile engineering, future developments, job opportunities, advancements in tractors and so on. His explanations on the performance and existence of IC engines and the introduction of e-vehicles was enriching. He also answered questions asked by the students enthusiastically. The Chief Guest was then felicitated with a beautiful portrait of him, presented by the Head of the Department. The event ended successfully with the National Anthem. As special as the department, chocolate milk was provided as refreshments to the students. Reported by: Anirudh, Second Year, Automobile Engineering. Photographed by: Sreevignesh and Rajsekaran, Second Year, Automobile Engineering.